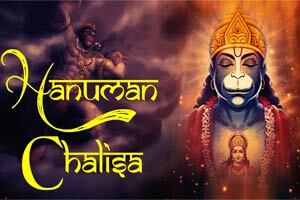 Shri Hanuman Chalisa Lyrics In English. This Devotional Hanuman Bhajan Songs Is Sung By Lata Mangeshkar. It Is Traditionally Believed To Have Been Authored By 16th-century Poet Tulsidas In The Awadhi language, And Is His Best Known Text Apart From The Ramcharitmanas.